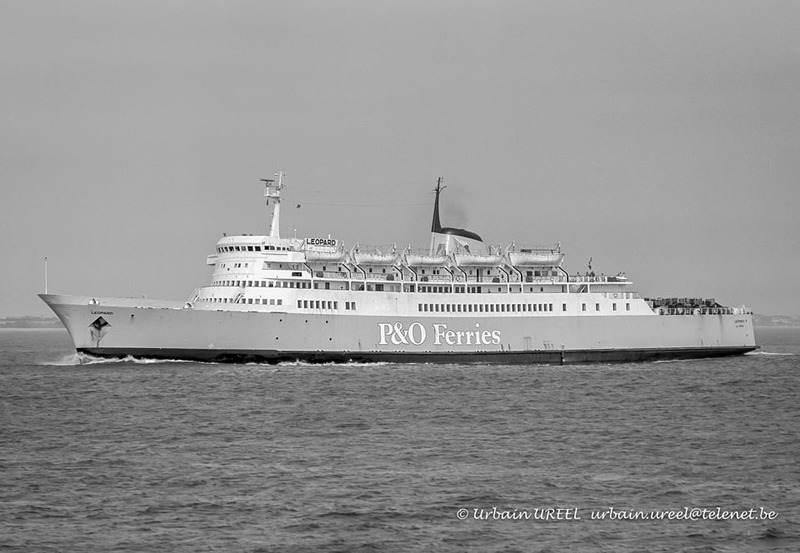 1967: The General Steam Navigation and the French Société Anonyme de Gérance et d’Armement (SAGA) decided to open a regular link between Le Havre and Southampton, joining their forces on an equal basis into a new company “Normandy Ferries”. 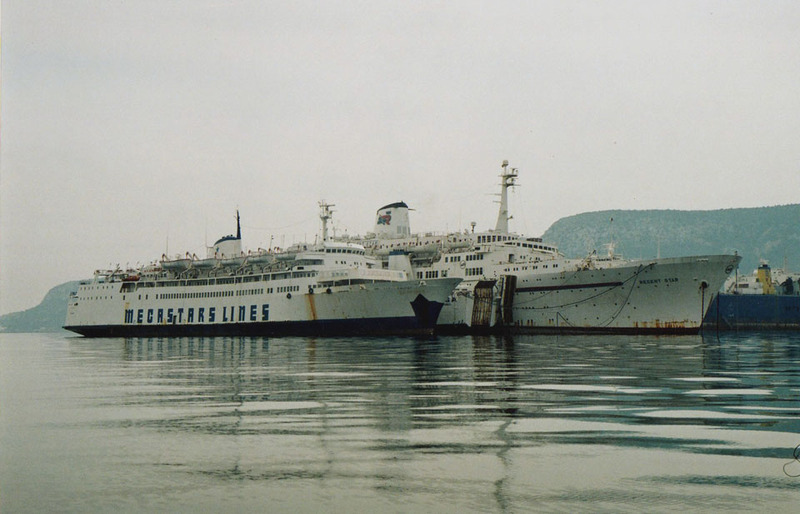 The two identical ships were ordered from Ateliers et Chantiers de Bretagne, Nantes each of the two companies owning one vessel. The two ships only differ by their accommodation and their furnishing. November 3rd 1967: Launched as the ‘Leopard’ and then towed for fitting out at Dubigeon-Normandie S.A., Nantes, France. September 9th – 10th 1968: Sea trials. April 20th 1968: Delivered to Societe Anonyme de Gerame et d’Armencent, (S.A.G.A.) Le Havre, France. April 25th 1968: Left Nantes for Le Havre. April 26th 1968: Berthing trials at Le Havre. April 20th 1968: Berthing trials at Southampton. 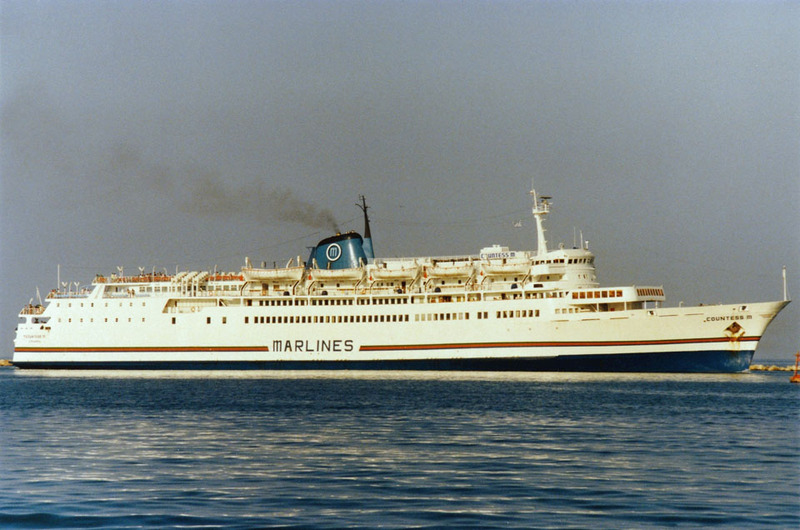 May 2nd 1968: Commenced service between Le Havre – Southampton. May 18th 1968: First trip to Rosslare. 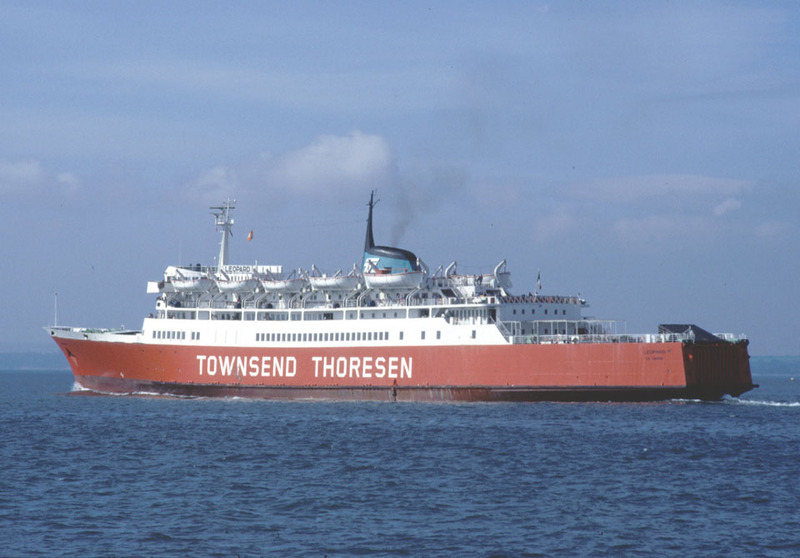 May 28th 1968: Also operated between Le Havre – Rosslare. 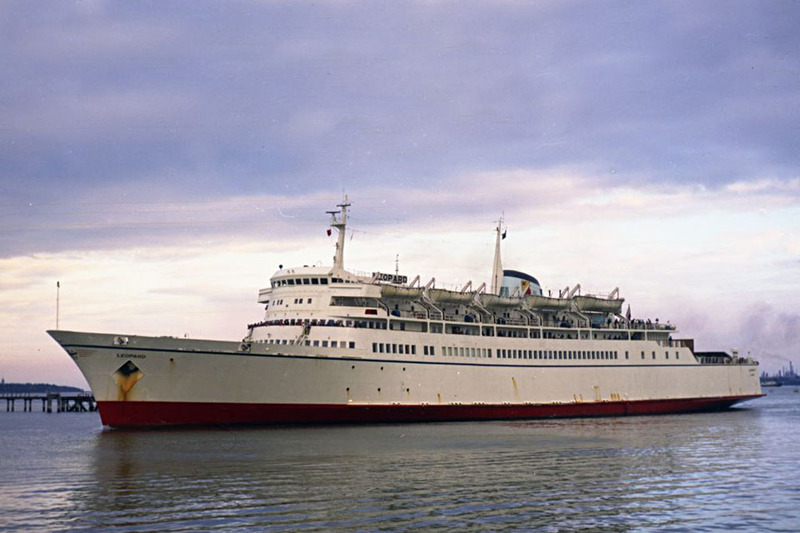 November 24th 1968 (winter): Operated between Southampton – Lisbon – Casablanca – Lisbon – Southampton – Rouen – Southampton. 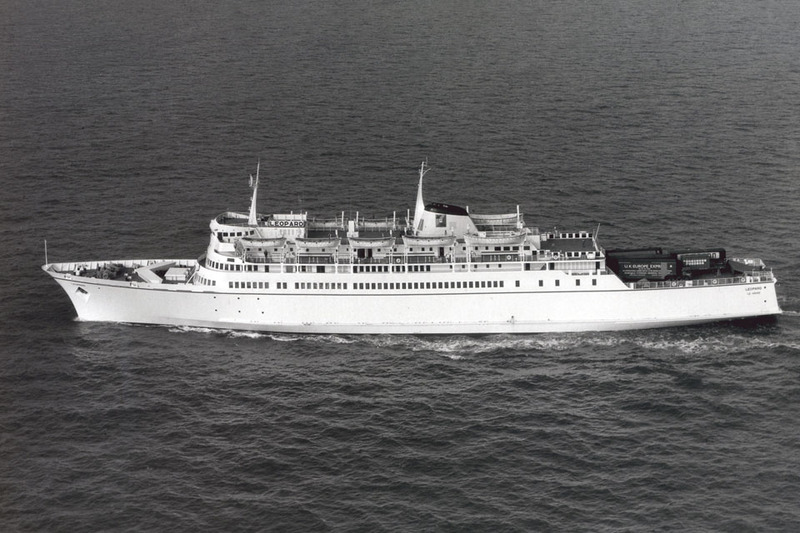 October 11th 1971: Placed in service between Le Havre – Rosslare. 1972: Operated between Le Havre – Southampton., then, in the winter between Le Havre – Lisbon – Casablanca. 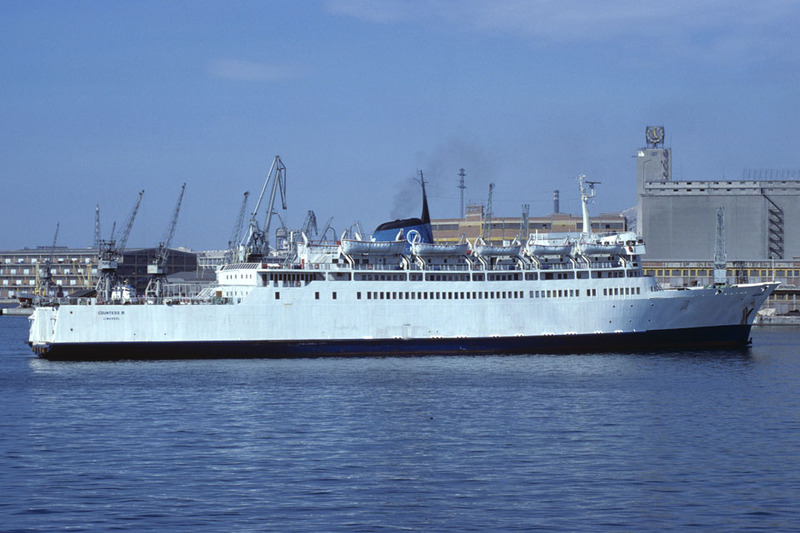 1976: Transferred to P&O Normandy Ferries. January 1978: Lost her port screw in a gale. April 26th 1978: Returned to commercial operations after repair. 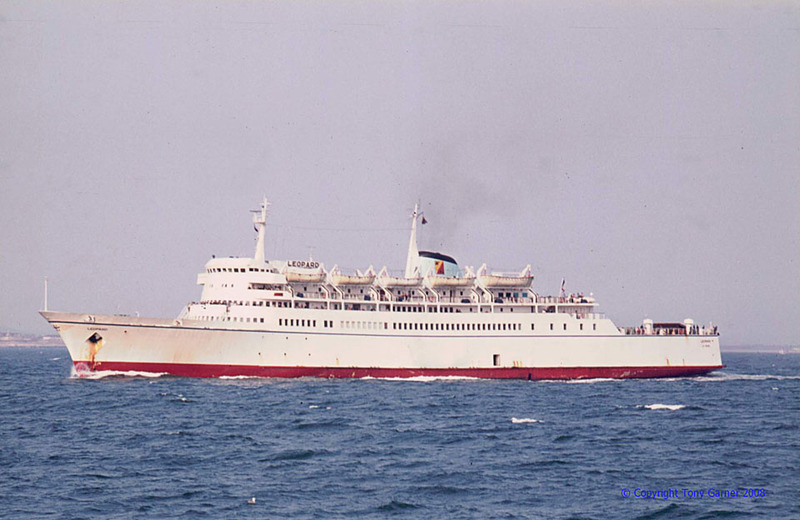 December 31st 1979: Registered to P&O Normandy Ferries, Le Havre, France. 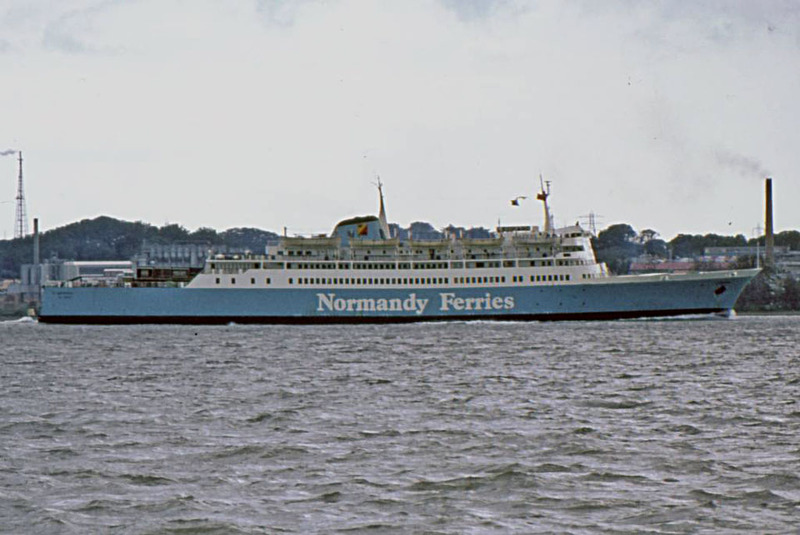 1984: Registered to Normandy Ferries S.A, Le Havre, France. 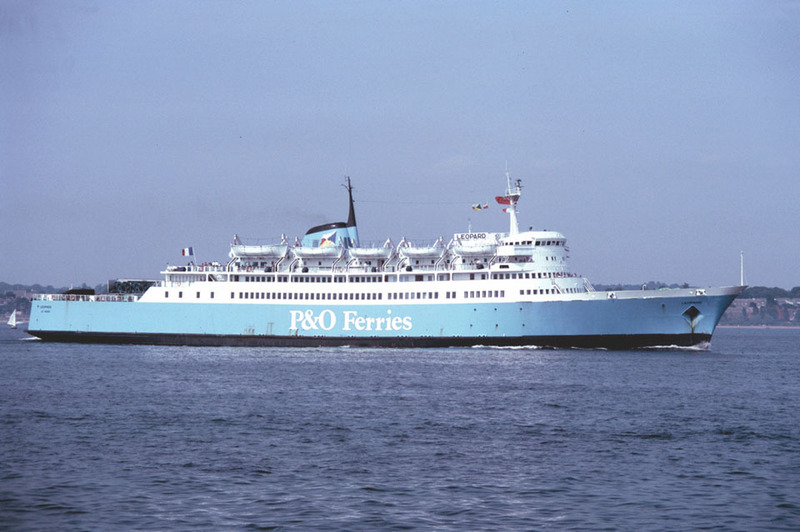 December 3rd 1984: Commenced service between Le Havre – Portsmouth. 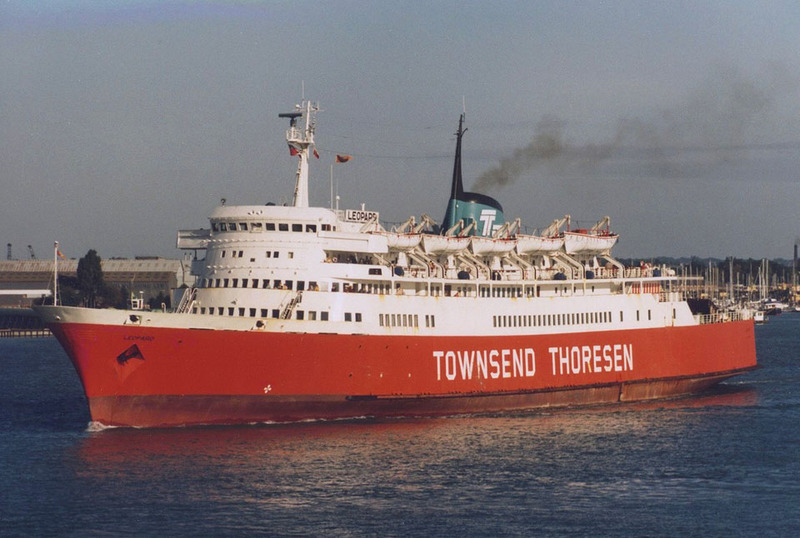 January 4th 1985: Sold to European Ferries, Ltd. Le Havre, France (Registered to Normandy Ferries (France) S.A., Thoresen, Le Havre, France). After rebuild commenced service between Le Havre – Portsmouth. 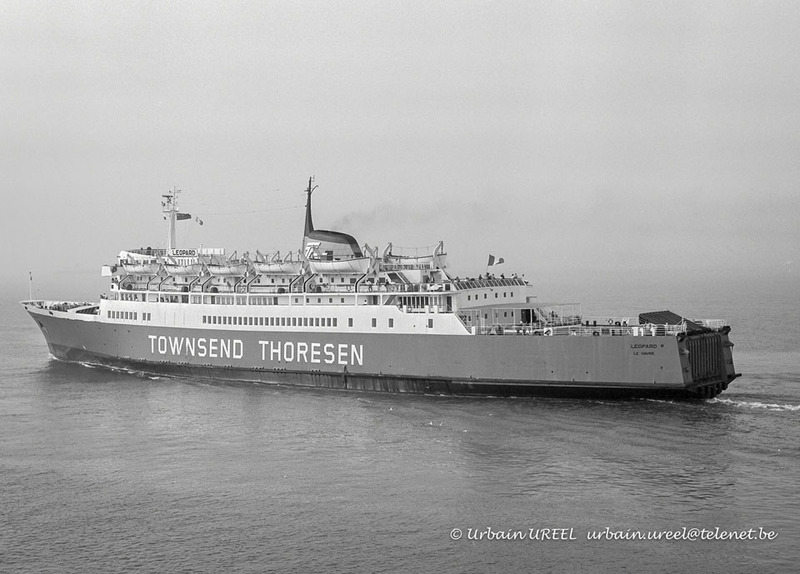 May 13th 1986: Final day in operation for Townsend Thoresen, thereafter laid-up until sold. 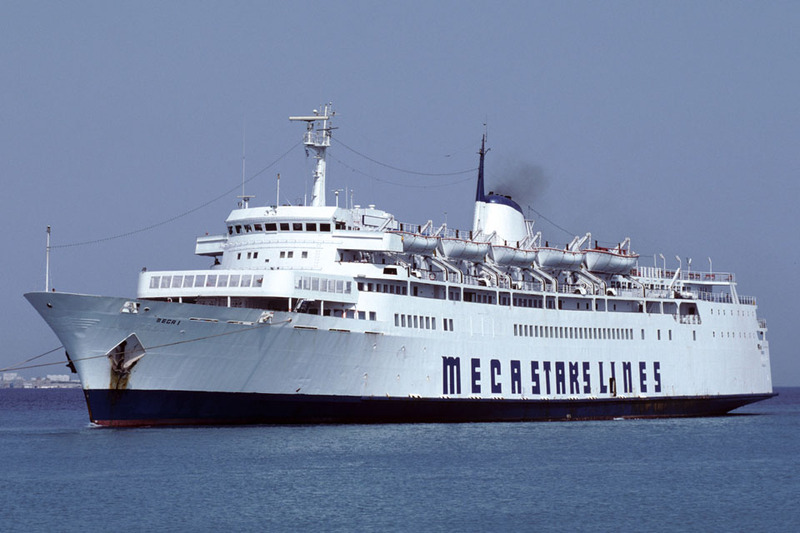 June 1986: Sold to Oscar Express Ferries, Limassol, Cyprus. 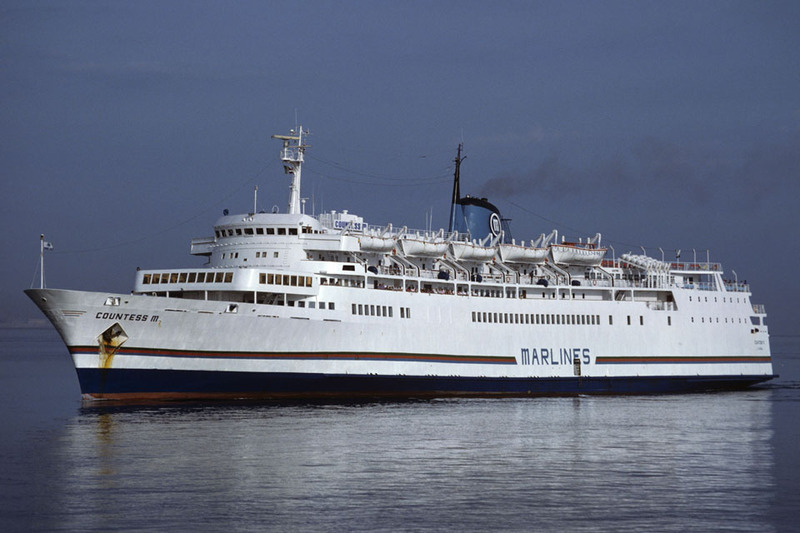 Renamed COUNTESS M.
June 21st 1986: Left Le Havre for Piraeus, and rebuild. 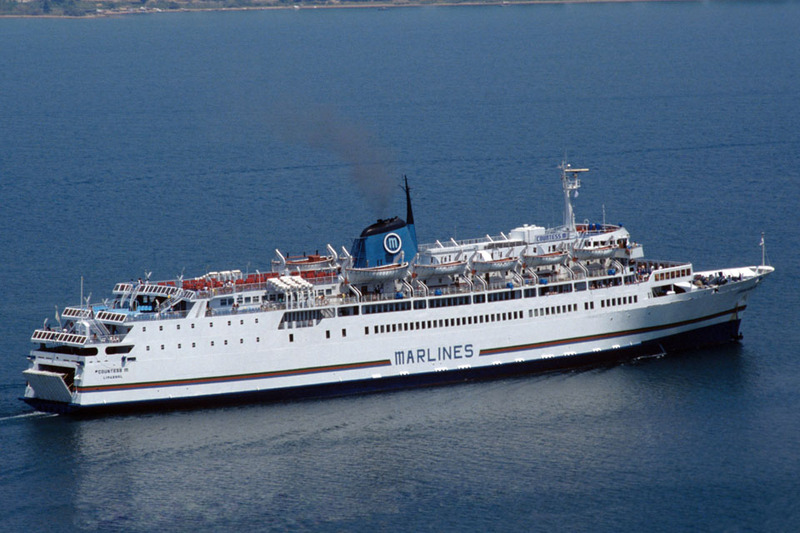 1987: Introduced by Marlines between Ancona – Igoumenitsa – Patras. 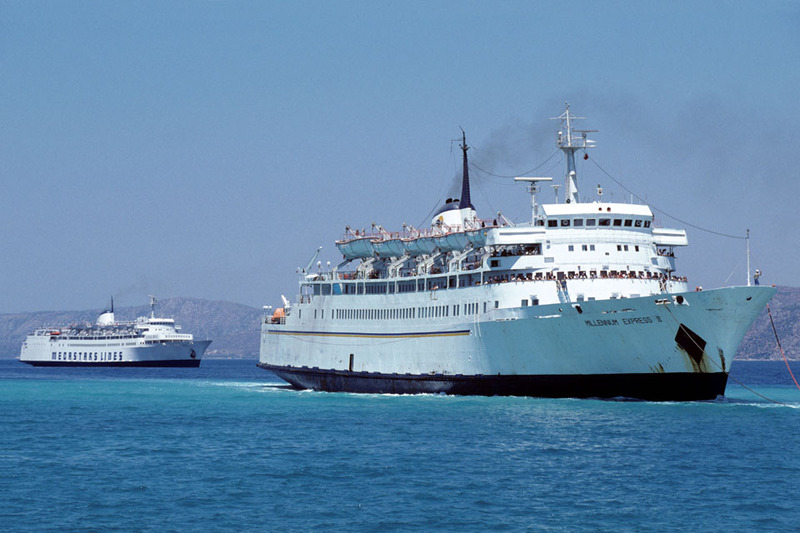 1993: Operated between Ancona – Korfu – Igoumenitsa – Patras. 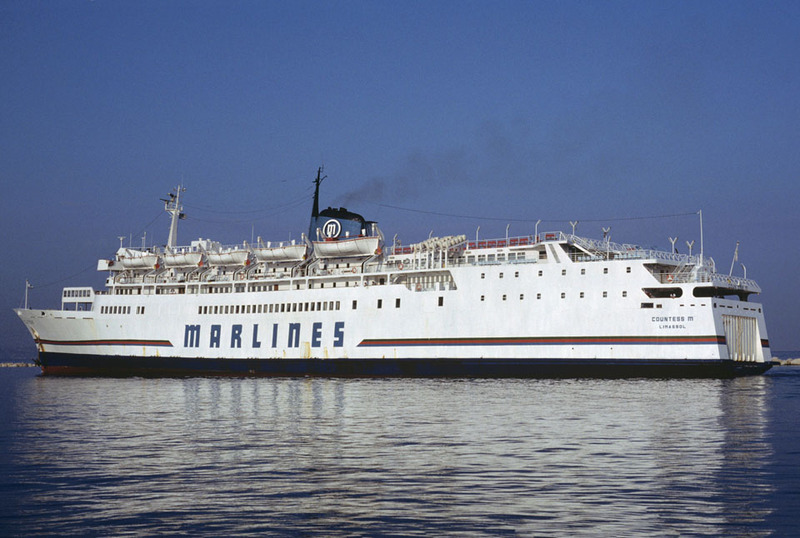 1994: Operated between Bari – Igoumenitsa – Korfu – Bari. 1995: Operated between Ancona – Korfu – Igoumenitsa – Patras. 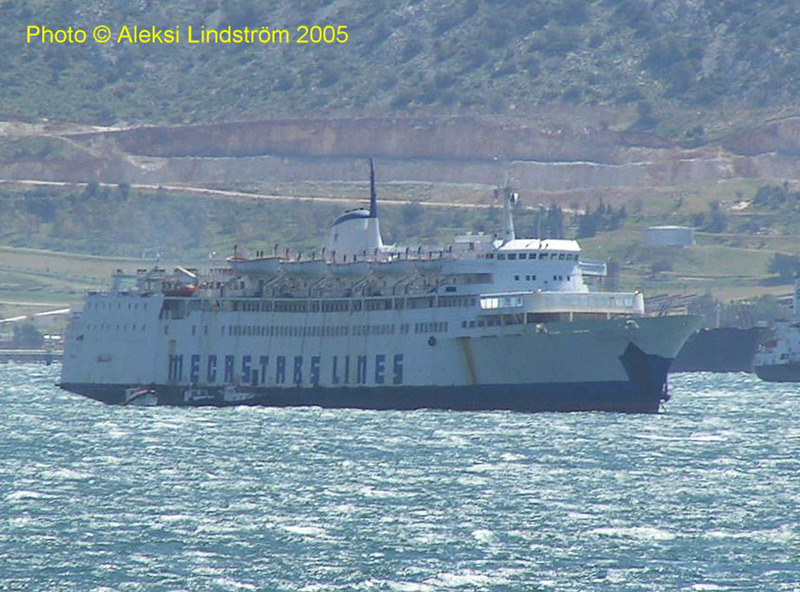 1996: Operated between Piraeus – Heraklion – Rhodes – Limassol – Haifa. 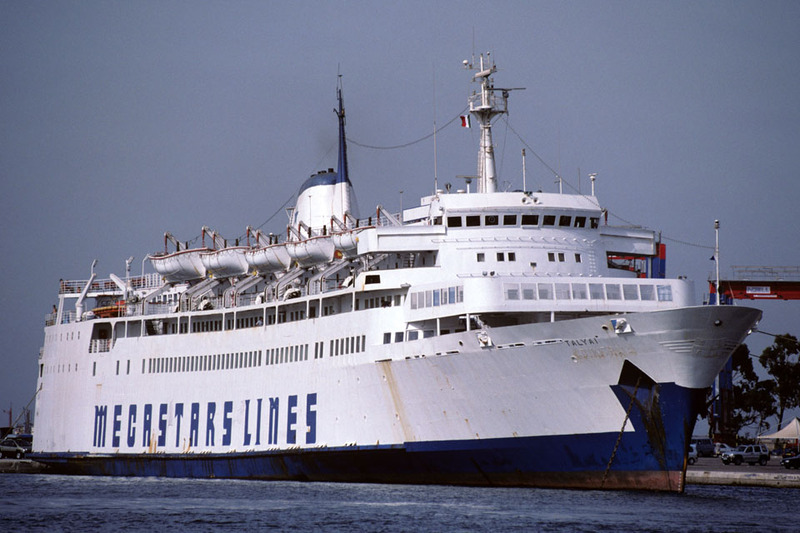 November 1997: Commenced service between Bari – Igoumenitsa – Patras. 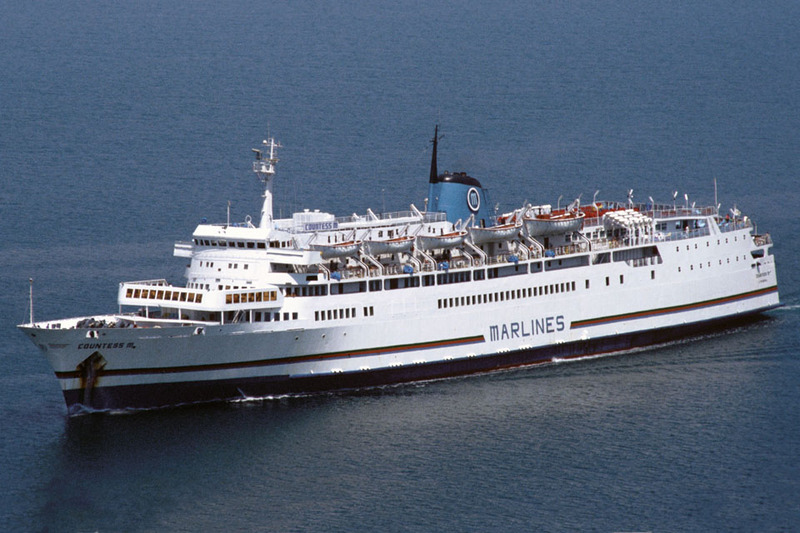 1998: Operated between Bari – Igoumenitsa – Korfu – Bari. 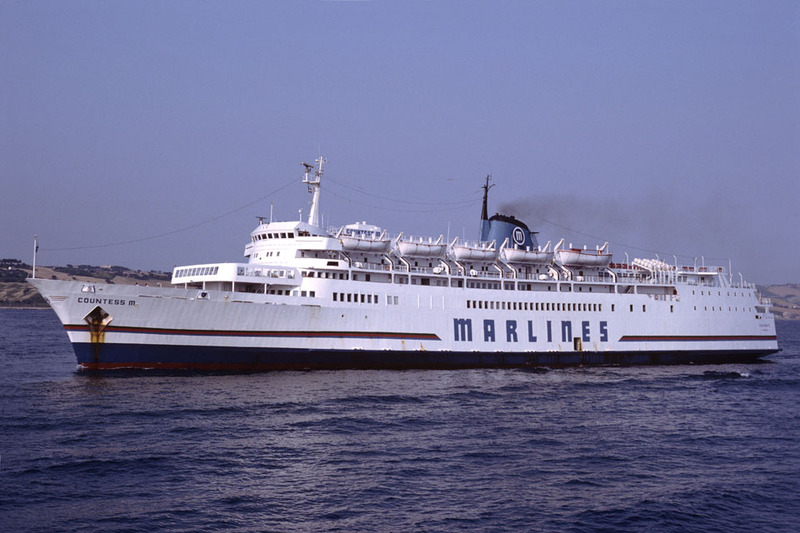 January 3rd 2000: Commenced operations between Bari – Durres. 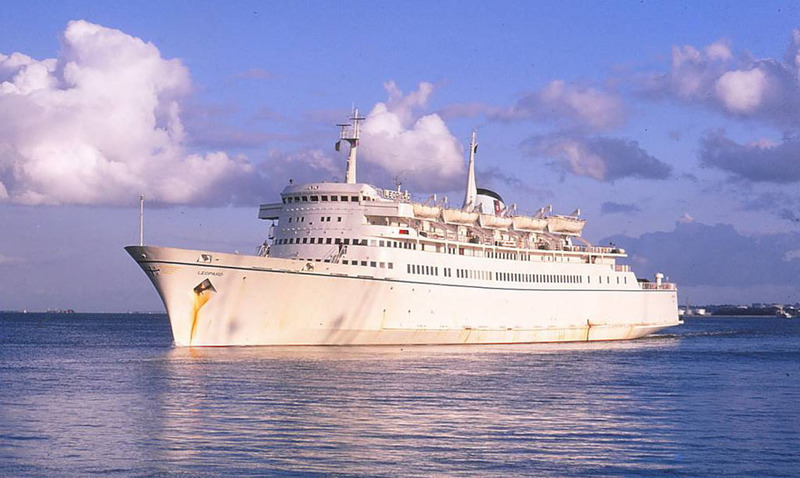 2000: Sold to Five Star Lines, Panama (Registered to Dimitra Nav. Co. Ltd, Panama). Renamed DIMITRA A. 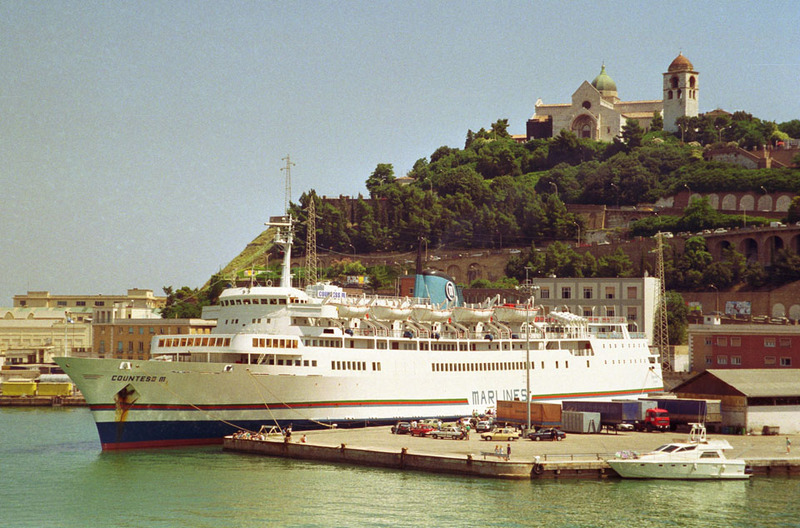 2000: Commenced service between Igoumenitsa – Brindisi. 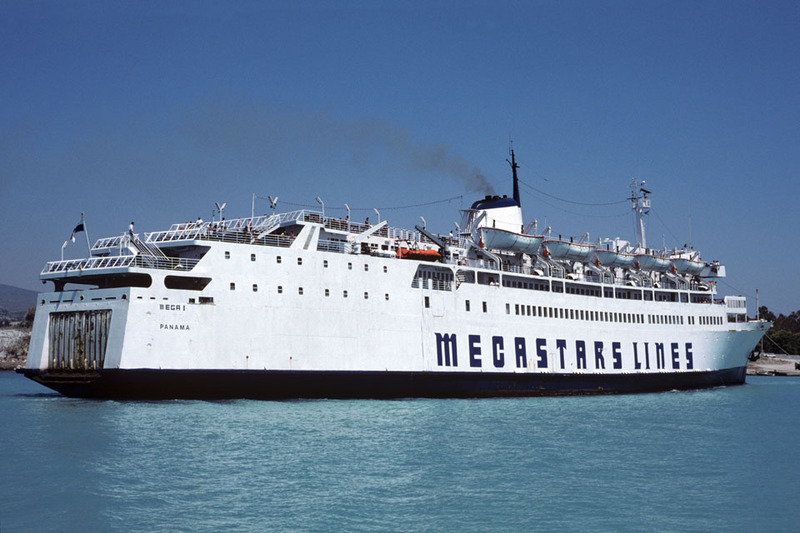 2001: Chartered to Mega Stars Ferries, Panama. 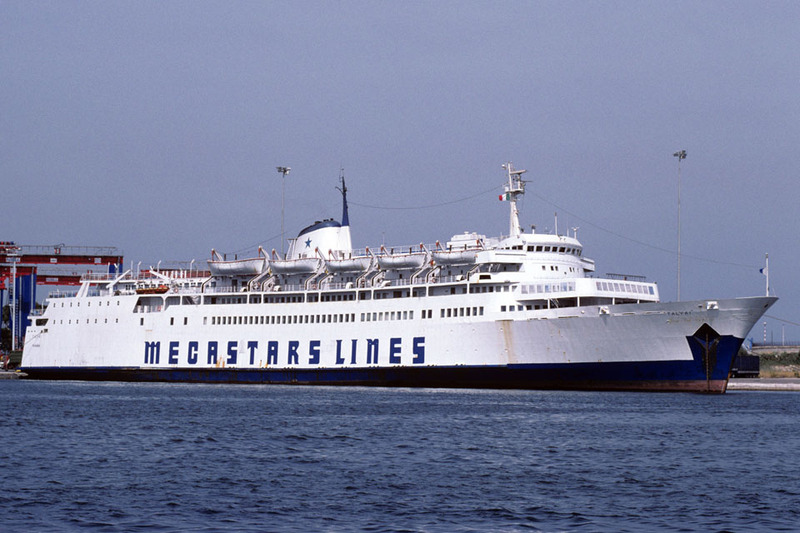 Renamed MEGA I.
June 23rd 2001: Commenced service between Brindisi – Cesme. 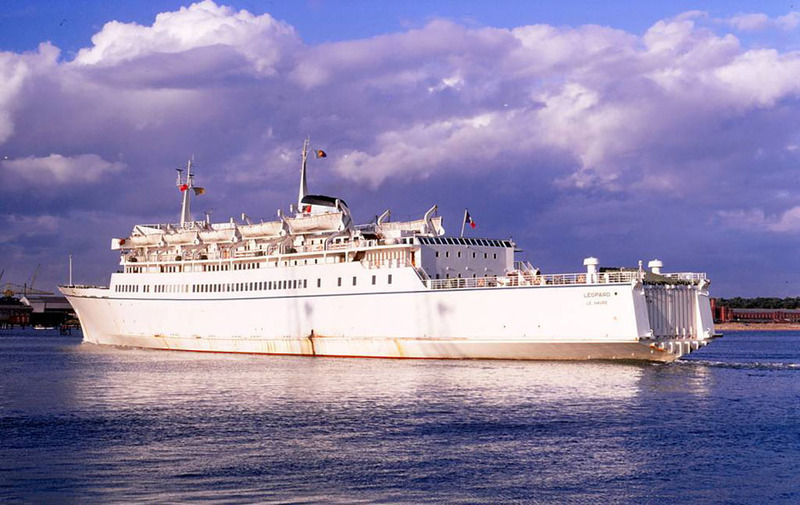 June 2002: Renamed TALYA I. Introduced between Brindisi – Cesme. 2003: Laid up in Perama, Greece. April 2004: Sold to Indian ship breakers. 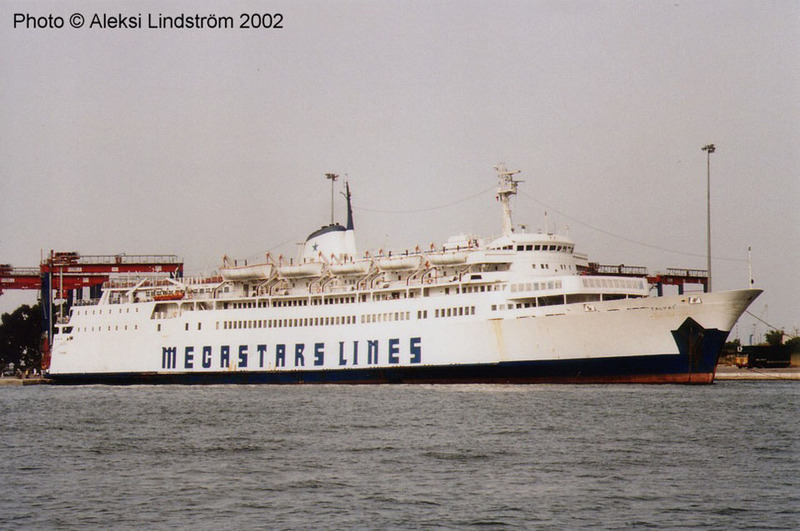 May 5th 2004: Left Eleusis Bay for India. June 5th 2004: Arrived at Alang, India. June 15th 2004: Beached prior to breaking. All information is believed to be correct and no responsibility is accepted for any errors or omissions. All items included in this article are subject to © copyright. We would like to take this opportunity of thanking: Philippe Brébant, JK Byass, Malcolm Cranfield, Carsten Dettmer, Brian Fisher, Frank Först, Tony Garner, Frank Heine, Patrick Hill, Aleksi Lindström, Derek Longly, Bob Scott and Andreas Wörteler for their assistance in producing this feature. Brilliant, the Leopard and Dragon were real beauties – I love the picture of the two together at Corinth. Great to hear from you. 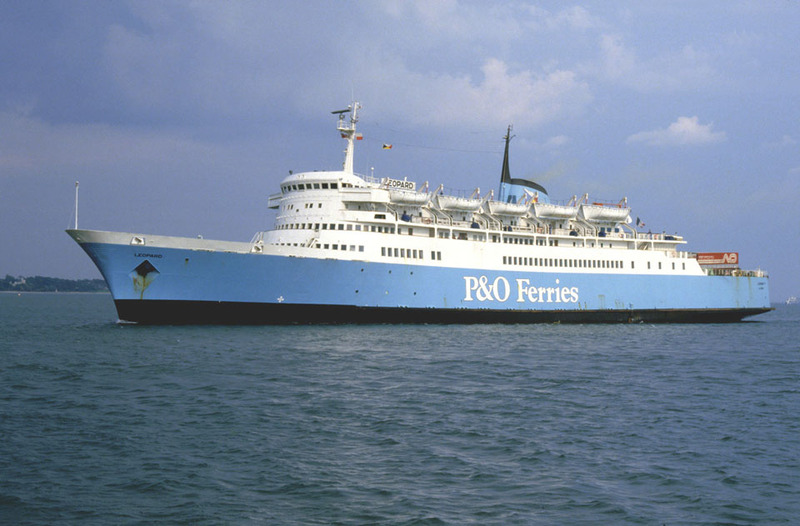 You are of course indeed right in regards to the Normandy Ferries livery proceeding the P&O Ferries livery, the article has now been corrected.